Take advantage of this free app’s virtual keyboard and music paper to try out over 800 chords, all with authentic grand piano sound! Learn the chords at your own pace! Create your own virtual sheet music! This app can show you how to access and try out over 800 chords. Select a key on the left, a chord type in the middle, and, if want to experiment with jazz chords, a chord type addition on the right. Now, explore the chords with “Piano Chords Compass Lite”! With the help of this app, you can learn the chords for piano/grand piano, an electronic keyboard and an organ. You can learn at your own pace, make your lessons as long or as short as you like, or you may choose to focus on specific music notes. PianoChordsCompass Lite is easy to use and is appropriate for any aspiring pianist, even young kids! Note: PianoChordsCompass Lite offers the chords for 4 notes. If you need the complete note set with 2500 chords, upgrade to the full version now! 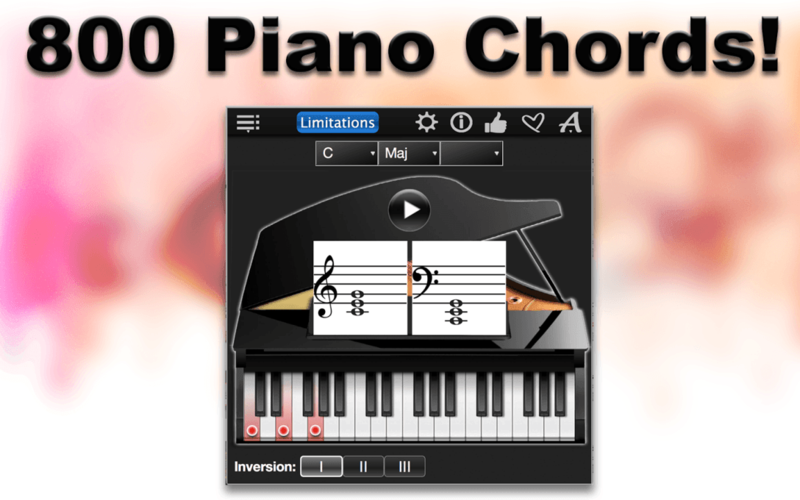 – The notation and chord set compatible with the GarageBand Smart instruments. 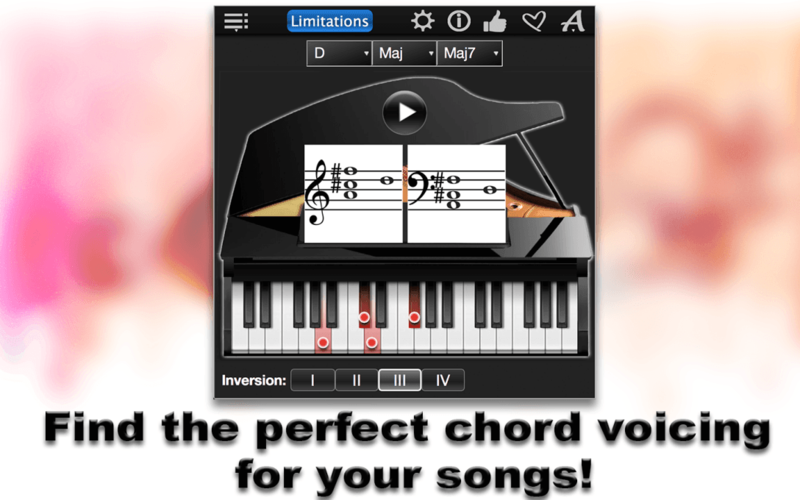 – You can play any chord with authentic piano sound. 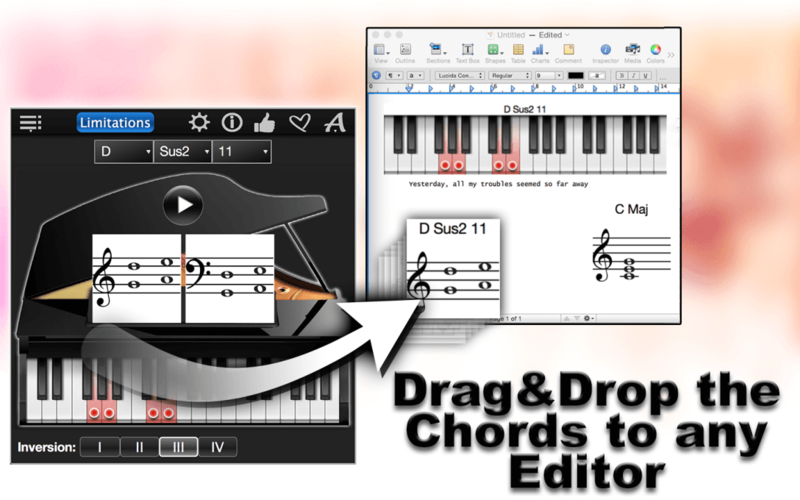 – Drag&Drop your selected chord into editors to create your own virtual sheet music. You can use either the written notes or the keyboard picture. 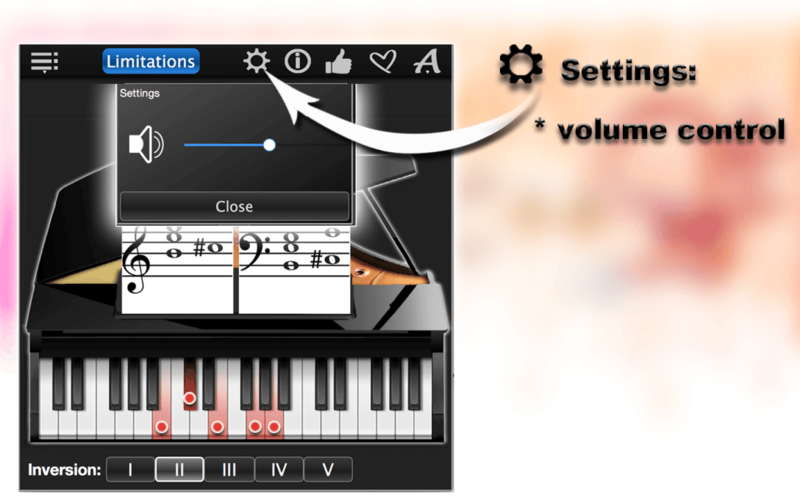 – The app supports treble clef and bass clef for written notes. 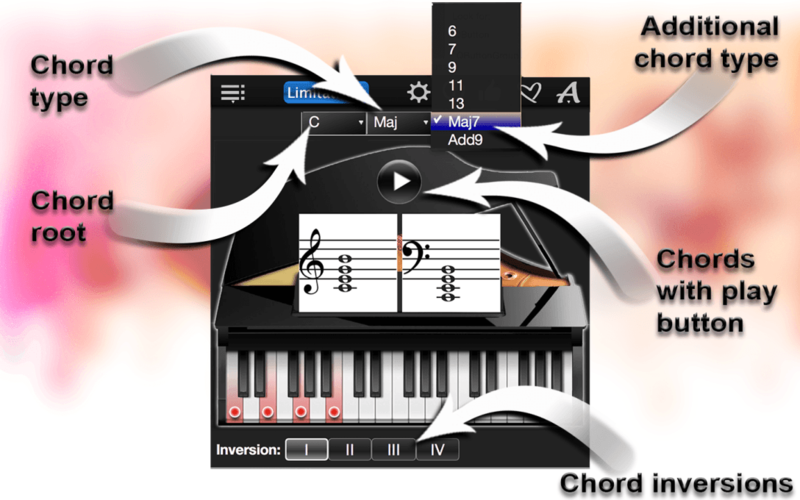 – It also supports chord inversions; 56 chord types, for example Maj, Maj 6, Min 9, Dim 7, AugAdd9 etc.